Hodder Books has announced that Tad Williams‘ The Dragonbone Chair, Book One of “Memory, Sorrow and Thorn” is now available for pre-order on audible.com. 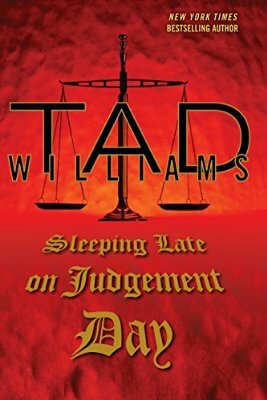 The audiobook is the first novel in Tad Williams’ classic fantasy series “Memory, Sorrow and Thorn”, first published in 1988 and now available as an unabridged audiobook for the first time. Kitchen-boy Simon is bored, restless and 14 years old – a dangerous combination. It seems, however, that his life has just taken a turn for the better when he’s apprenticed to his castle’s resident wizard. As Simon is learning to read and write under Doctor Morgenes’ tutelage, forces greater than he could possibly imagine are gathering: forces which will change Simon’s life – and his world – forever. Following the death of Good King John, Osten Ard is plunged into civil war as his sons battle for control of the fabled Dragonbone Chair – the country’s throne as well as the symbol of its power. Simon is forced to flee the only home he has ever known, a journey which will test him beyond his worst nightmares. 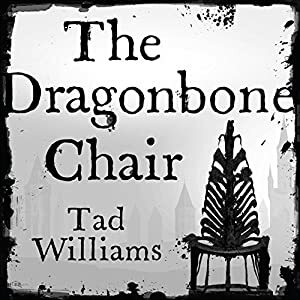 With The Dragonbone Chair, Tad Williams introduced readers to the incredible, complex fantasy world of Osten Ard and kicked off the beloved, internationally best-selling series “Memory, Sorrow and Thorn”. Later Osten Ard works include Stone of Farewell (1990), To Green Angel Tower (1993), The Burning Man (1998), and The Witchwood Crown (forthcoming). The audiobook release for Stone of Farewell is set for November; the audiobook for To Green Angel Tower will follow sometime thereafter. The audiobook for The Witchwood Crown is expected around the time of the release of the new novel. The beloved fantasy classic, praised by George R. R. Martin, Patrick Rothfuss, and Christopher Paolini (among others) has been unavailable in audiobook format before now, at least in the English language. The book will be narrated by Andrew Wincott, an English actor with over 100 audiobooks to his credit. Pre-order The Dragonbone Chair here! Anyway, make of them what you will. It will be a while until I have a good cast list to share. There are some inconsistencies with the chapter titles; for example, Chapter 27’s title, referring to the Quarely Maid, is not the name of the inn chosen by readers on the official message board last year. But of course, these chapter titles are subject to change or revision. The Witchwood Crown is expected to be released in Spring 2016, followed sometime thereafter by Empire of Grass and The Navigator’s Children.